When Scots songsmiths Gerry Rafferty and Joe Egan wrote the 70s chart smash Stuck in the Middle, they must have hoped the song would live on and on. They simply couldn’t have foreseen how their pop hit would become forever fixed in the popular imagination with a gruesome scene of drawn-out torture. 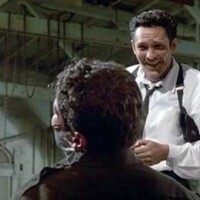 After all, who can forget the razor-wielding psychopath Mr. Blonde in Reservoir Dogs, grooving to the Stealers Wheel tune, as he slices off the policeman’s ear? Between the early 70’s of Stealers Wheel’s bubble gum pop and the 90s of early Tarantino schlock, our society changed. For many middle-aged, middle-class Scots being ‘stuck in the middle’ now comes as a similar surprise: delivering a different, equally chilling, shiver of dread. Parents find themselves in a financial bind: trapped between supporting their own offspring into adulthood while also caring for their own ageing parents. The Sandwich Generation is a painful phenomenon in our society, driven by just a few simple, perhaps even positive, changes in Scotland’s demographics and social attitudes. Take a look at a typical Scottish wedding back in the early 1970s. There’s the happy couple: huge smiles on their faces, confetti in their hair and a ‘scramble’ of new decimal coins at their feet. According to Scotland’s official marriage statistics, the groom is 24 years old. According to 70s fashion, he’s wearing platform shoes and a suit with wide lapels, flared trousers and perhaps way too many buttons. There’s a pretty good chance his name is John. The bride could well be called Margaret – and she’s probably two years younger than her new husband. Imagine them dancing at their wedding day disco to Stealers Wheel’s only Top 10 hit. As the day wears on, you might struggle to see through the fug of cigarette smoke and alcoholic haze. In hindsight, the traditional Scottish wedding punch-up may seem inevitable. Perhaps the rest of our couple’s lives is just as predictable? Margaret will have her first baby by the time she’s 25. Over the years, our couple will both put on weight – nearly two stones a decade. By their mid-40s, when Tarantino is taking a razor to their musical memories, their children will be grown up and leaving home. Even if the kids were lucky enough to go to university, their education won’t have cost Mum and Dad that much. Now the kids have found employment, flown the coop and are fending for themselves. If John and Margaret had a mortgage, it’s close to being paid off. Equally, their own Mum and Dad will have recently retired. But Grandad will live for less than five years, even though Grandma may outlive her husband by almost a decade. So, John and Margaret are ‘empty nesters’. It’s a term marketing folk used to use to signify people who, in terms of lifestyle and lifestage, were on easy street. It was shorthand for having few onerous financial commitments. Crucially, they were still working too. They had the disposable income and time and energy for consumer goods and financial services. As a result, they were attractive customers in many product categories. In the hilarious world of off-the-shelf photos for marketing purposes, this target audience was always envisioned as rich and tanned: the silver fox with a full head of hair, in possession of all his own teeth and a slightly younger, sprightly wife. They were forever drifting into the sunset on a cruise liner, glass of wine in hand, gazing at each other like a honeymoon couple. Maybe it was never a reality for most folk. But nowadays it’s a nirvana which modern middle-aged couples won’t even be able to dream about. The reasons are strangely simple. But even if we can’t guess their names, there’s something else that we do know about them. There’s been a big shift towards later childbearing. The fertility rate for women in Scotland aged 20-24 has dropped by two-thirds since the mid-60s, and halved for women aged 25-29. Today, the prime age for having your first baby is between 30 and 34. (About one in six mothers are aged 35-39.) So, by the time you’ve put your first child through higher education – and paid handsomely for the privilege – chances are, you’re not in your mid-40s: you’re closer to your mid-50s. The Daily Mail will try to tell us these grown-up children won’t leave home because they are now smarter than you. They’ll avail themselves of the Bank of Mumandad – and the free digs, delicatessen and taxi service – because you are too soft and soppy. Literally and metaphorically, you are too willing to do their dirty washing. But that’s just an Alf Garnett diatribe about ‘long-haired layabouts’ tricked up for a generation that can’t see the irony for the ironing. We’ve lost the liberal ideals we held when we were young. Worse still, we’ve forgotten how much easier it was for us to gain a foothold on the ladder of life. Today, the average first time home buyer is 35 years old. That’s powerful testament to how much more expensive property has become in relation to a young person’s pay packet. That’s if, in the continuing economic crisis, they have a pay packet. So, when you marry in your early 30s, give birth at 34 and your kids don’t leave home till their 30s, what age are you? You could be nearer the end of your earning power than closing out your parental contributions. That’s not necessarily a problem for some people though. If you’re a man in the poorest 15% of Scottish society, you can barely expect to make it to 60 in good health. However, in the past decade alone, general life expectancy has risen for the average Scot by two or three years. But the health benefits have been felt even more by the upper and middle classes – with males in the least deprived areas outliving their most deprived countrymen by over 13 years. That’s unlucky for some. With lacklustre pensions and interest rates at historic lows, some genteel folk live on… without much to live on. Their own nest-egg is so empty, they have to turn to their middle-aged children for financial support. So it’s not just mid-20s malcontents sucking money out of Mum and Dad. Even those teeth in a glass by the bed can put the bite on you. A finance industry poll of people aged 45-64 found one in five had taken out a loan – or a second job – to help out a family member. It’s reckoned Britain’s beleaguered middle-aged, middle classes are spending £1.5 billion a year on supporting their loved ones. And yet, somewhere between financial services industry hype and the genuine personal hurt felt by those in the ‘sandwich trap’, a different question arises. Why do other cultures do it differently? Instead of complaining about being ‘stuck in the middle’, Latins and Asians celebrate it. They encourage their kids to stay at home longer. Indeed, newly-weds often move in with Mum and Dad. And Granny. In an ageing Scotland, could there be an approach to inter-generational living that’s more practical as well as more caring? How do you feel about that? Like the pain you can feel from a pleasant pop song, maybe it’s all in our heads.